MTM Case-Gard's family of Ammunition Cans has grown to include a second choice in the 30 caliber size. The AC30T, a 30 cal. can intended to replicate the shape of an actual 30 cal. army surplus ammunition can. Both, MTM's original short 30 cal. can and this new tall design, offer the same capacity as a traditional 30 caliber military ammo can. MTM Case-Gard&apos;s family of Ammunition Cans has grown to include a second choice in the 30 caliber size. The AC30T, a 30 cal. can intended to replicate the shape of an actual 30 cal. army surplus ammunition can. Both, MTM&apos;s original short 30 cal. can and this new tall design, offer the same capacity as a traditional 30 caliber military ammo can. 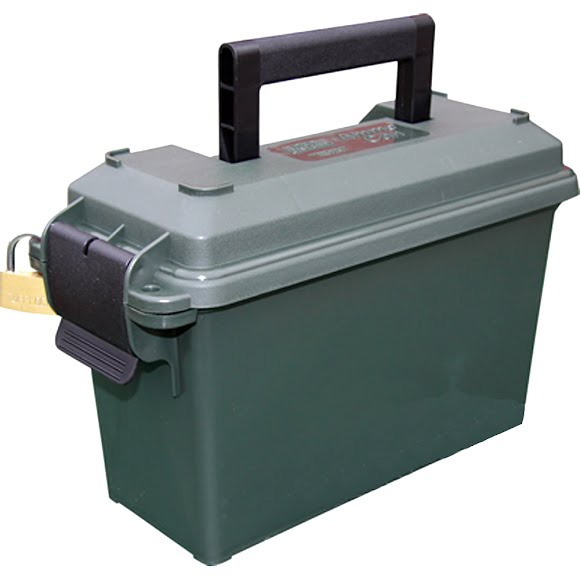 MTM ammunition cans are a great way to store bulk or boxed ammo. These comfortably handled ammo cans are molded out of rugged polypropylene plastic and will hold up to years of service. An excellent storage choice for basements, garages and sheds.